DJI’s newest drone is the stuff of Jedi mind tricks. The Chinese-based drone maker today announced a tiny, $499 drone called Spark, the company’s smallest drone to date. But the standout feature is that the Spark drone can be controlled purely by gesture control. The drone’s camera can detect its user’s body movements such as raising and lowering your hands or waving them. It then can interpret those gestures to follow commands such as flying up and down, or taking a picture. This is the first time that DJI has announced a product designed specifically for consumers, previously having left smaller drone-makers like Intel-funded Yuneec and French drone-maker Parrot to make drones at those lower price points. Until Wednesday’s announcement of Spark, each drone announced by DJI was released for at least $1,000. The company rose to popularity with its ready-to-fly Phantom drone, and also makes drones with high quality cameras for professional filmmakers, as well as heavy-lifting drones designed for enterprise use. Some analysts believe that DJI, which has a valuation of $8 billion, has a market share as high as 85%. The Spark drone, which will be available in five colors including Alpine White, Sky Blue, Meadow Green, Lava Red, and Sunrise Yellow. It has a battery life of 16 minutes with a camera supported by a two-axis gimbal. With a 1/2.3” CMOS sensor, it can capture 1080p video and 12 megapixel still photos, and has onboard sensors that allow it to detect and avoid obstacles. With the remote controller accessory, operators can switch to Sport Mode to fly up to 31 mph. Sport Mode sets the gimbal to first-person view by default, so the camera moves as you fly. Spark will also be compatible with DJI Goggles. Like all recent DJI drones, Spark can return to its home point automatically with a sufficient GPS signal. 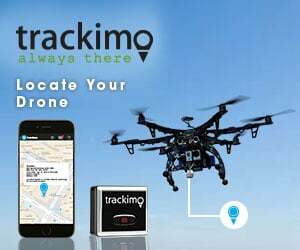 While using the remote controller, if the battery gets too low, connection is lost, or the operator presses the Return to Home button, Spark flies back to the preset home point and is supposed to detect and avoid obstacles in its path. Spark also integrates DJI’s geofencing system, which automatically prevents flight in areas limited by regulations or raise safety or security concerns. Spark, which comes in at 0.6 pounds, is the next in a group of consumer drones that are getting smaller and more portable, addressing user concerns that drones were just too cumbersome to transport. Yuneec last year debuted a small , $500 drone called the Breeze that could be controlled with a smartphone. GoPro’s Karma drone was also designed to be ultra portable. In November of 2016, DJI announced the DJI Mavic Pro, an $1,000 drone that — though larger than Spark — could be folded up to become the size of a soda can. Given the size, DJI expects that drones will be more accessible and used on a more regular basis. The DJI Spark comes in at $499 and includes the drone, a battery, a USB charger and three pairs of propellers. The more expensive Spark Fly More Combo includes an aircraft, two batteries, four pairs of propellers, a remote controller, propeller guards, a charging hub, a shoulder bag and all necessary cables, for $699. The drone is available for preorder starting today and will ship in mid-June. This DJI Spark looks pretty amazing. Some nice intelligent flight modes such as such as selfie, hand control, trace, rocket, circle and helix. Can’t wait to see some big reviews. It’s impressive how DJI managed to implement all these features – TapFly, ActiveTrack , gesture control, etc. into such a small body. Plus, the QuickLaunch and the control simplicity sound amazing. Pretty excited for the drone to ship.